TORONTO, ON – Muddy York Brewing has announced the return of a limited edition beer that has a name inspired by one of the strangest vessels to ever float on the waters of Lake Ontario. This beer was named after a bizarre cigar-shaped vessel from the late nineteenth century meant to glide over waves thus reducing sea-sickness. The Roller Boat raised many eyebrows with its giant paddle and stationary inner cabin. Sadly we can’t say that the Roller Boat succeeded to revolutionize water travel, as it was abandoned and remains buried under what was once Toronto’s shoreline. 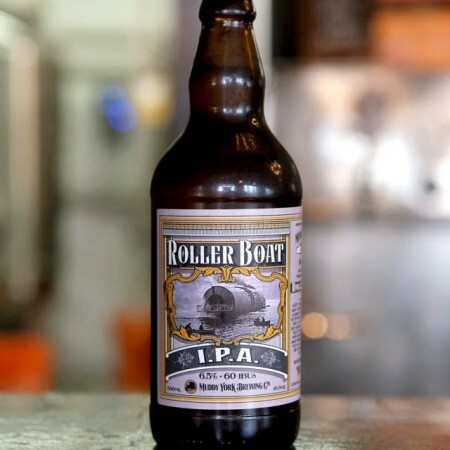 Roller Boat IPA is available now in 500 ml bottles and on draught at the Muddy York retail store and taproom.